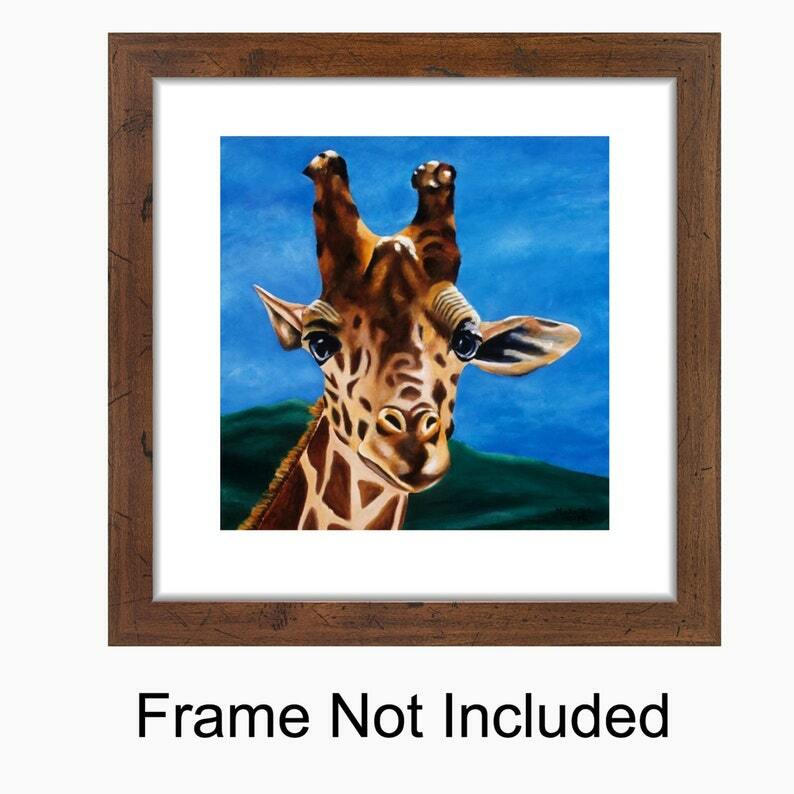 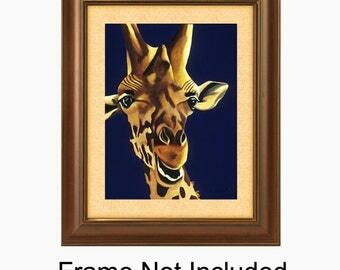 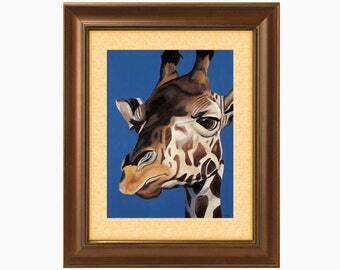 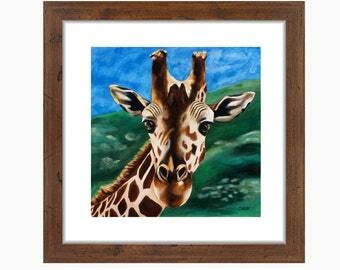 This earth toned and green and blue print of a happy giraffe would be the perfect artwork for your kid's room, or zoo, safari, africa or animal themed boy's or girl's nursery. 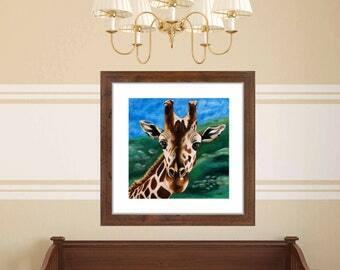 ★ This is a print of an original painting. 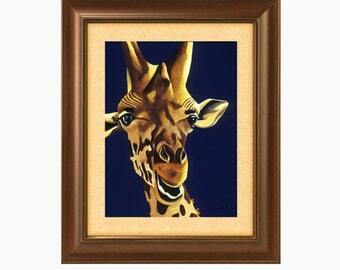 It is printed on photograph paper.